Articles that we have read that are all about the newest tech that you will want for your home or small business! You’ve seen gadgets for just about everything. Cute little teabags shaped like whales and full body bear-rug sleeping bags. Well, we thought about all these things that might help you boost your productivity. So, we’ve made a list of these things! Any of these would make perfect gifts for anyone who needs to be productive or anyone who likes tech gadgets that make life easier. This one is pretty popular. This little guy can combine the benefits of an old school camera with the sleek design of a modern camera. 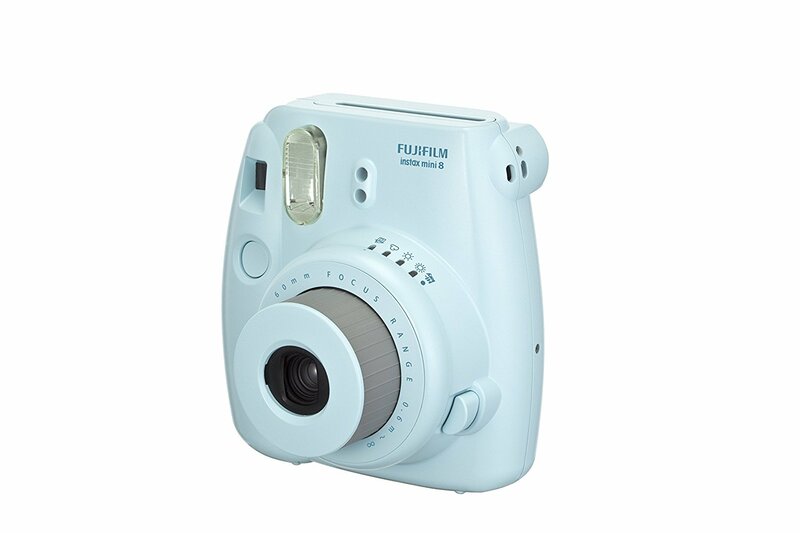 This is the idea camera to carry everywhere as it takes up such little space and you get to have an automatically printed picture! How great is that! Take a look at the features. Standing at 4.6 inches and only 4.7 inches in width – this is ideal for anyone with a love of photography they can hang up as soon as they get home or anyone really. Who doesn’t like the idea of a mini camera that prints pictures instantly? This one is pretty neat. 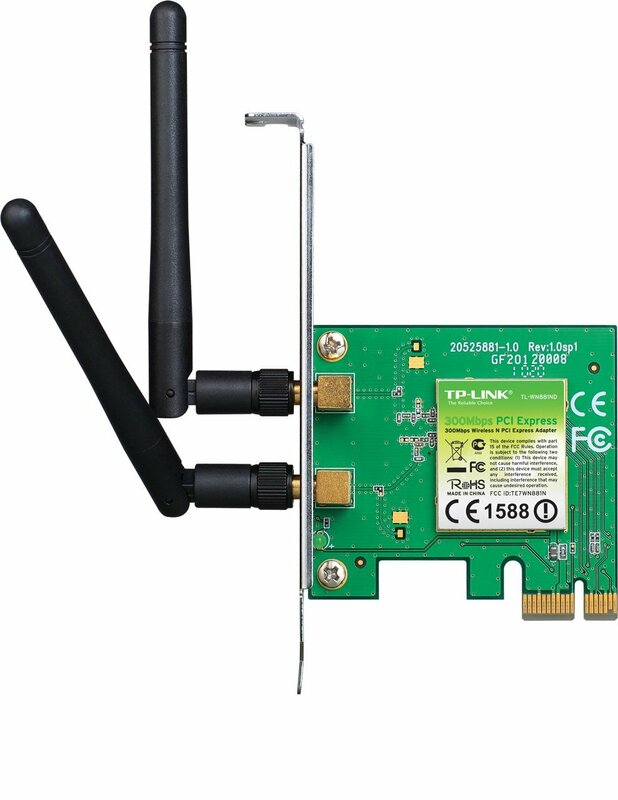 with this, you can connect a desktop computer to a high-speed wireless network. It provides wireless connection with speed up to 300 Mbps. Here are the specs. These are actually pretty great. If you have pets, small kids, or special items you don’t want to lose – these are a good thing to have at hand. They are like stickers that use Distance Indicator and Crowd. If you’re prone to losing your phone – all you have to do is press the button on the TrackR device and your phone rings! Well, technically any device it’s on will ring… Here’s more info. We could all use one of these at some point. This one is pretty awesome. A lot of people like to jot ideas and notes down on paper as they think of them – but later need to re-type all of this onto a digital platform for one reason or another. Well, that’s exactly what this helps you do! 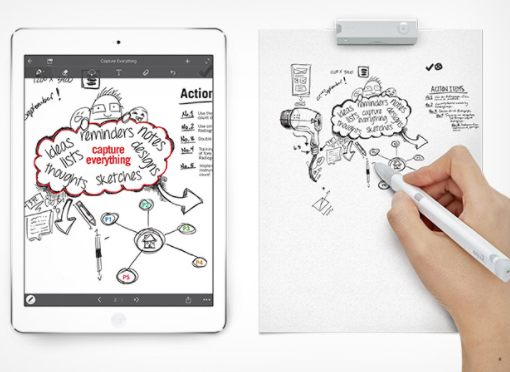 With the Equil Smartpen 2, you can transfer all your notes into digital form using Bluetooth Bluetooth or using the pen’s built-in memory. This one has to be one of the most beneficial of the list. It takes away the issue of “OMG THE PRINTER IS OUT!” How often do you think about how much of a pain it is to get the printer jammed? If you print a lot – you know the struggle. Plus, this is small enough to fit in your pocket, purse, glovebox… A printer at your disposal. Who doesn’t want that? You just send documents to it from your smartphone or computer. Here are the specs. Well, we’ve looked over 5 really awesome and helpful gadgets that just might help you be more productive – or entertained at least. Which one do you like the most? Let us know in the comments! You can also follow us on Facebook for more helpful tips, blogs, and more. Why is technology so important to productivity? Not so long ago there was no such thing as a computer. An office used typewriters to create documents and often multiple copies were required. Thirty years ago, articles came in a newspaper. There was no such thing as a blog. A letter was handwritten on stationary and mailed (for 22 cents) via post. It was usually delivered within 5 – 7 days. Newspapers were black and white and delivered as often as once a day. Salesmen came to your door with the products and gave a full presentation of that product right there in your living room! Something else started happening in the 80’s too, though. Computers. Offices started utilizing computers and printers instead of typewriters. Word processors revolutionized productivity in the workplace. The ability to print multiple copies of the same letter after only typing it once was huge! Phone books came out once a year and the Yellow Pages held all the phone numbers to the businesses in your area along with their addresses and advertisements. FOR THE WHOLE YEAR! Which is great if you were an established business that didn’t plan on moving within the next 3 or 4 months! Newspapers began running advertisements in color and inserting whole advertising sections or inserts. Radio stations ran audio commercials on the air that lasted between 15 and 30 seconds. The problem was that if you didn’t have something to write with (or a really great memory) you might forget the phone number before you got a chance to call it (because there were no cell phones yet!). You could look that business up in the Yellow Pages though! Or, if you forgot the name or didn’t catch it, you would have to wait to hear the advertisement on the radio again. Television combined audio and images together which made it a little easier to remember. Plus the chances were better that you would be near your phone or at least a pen and paper so you could write the number down. In the early 1990’s email became a little more mainstream. You could dial up internet at your house (Thank you, AOL). In 1996, (20 years ago) webmail services, like Hotmail, gave everyone a chance to have an email address. Businesses could send out correspondence instantly to their customers and you didn’t have to wait those 5 – 7 days to get your message to your intended recipient. In 1996 there were only 100,000 websites (I got that information from an article on Pingdom.com – which has a lot of fun little “wow” facts about the internet in those days and screen shots of some of the top websites at the time). Since 1997, when the first iPhone was released, the rise of “online” has been a steady increase. New ways to market your business have exploded onto the scene. It seems there is always a new platform popping up that you just HAVE to have! There are many new social media platforms to ‘build your business with’ and I’m sure there will be more on the way. But what THIS article is more pointed to, is how technology aids in productivity in your marketing and sales. So let’s get back to that! I have come up with 6 main facets to talk about specific to desktop computers that will further my point about why technology is important to productivity. It is fairly safe to say that virtually no business today are run without the aid of a computer. Accountants keep track of every financial transaction, including payroll, on a computer. Web designers work almost exclusively on a desktop or laptop. Even a landscaping business requires a database for their list of clients and a billing system. All of these are powered usually by a desktop computer. So what happens if you get a virus on your computer and your hard drive goes out? What if it is hacked? If you don’t have backups and security in place, it is entirely possible that you will miss appointments, lose employees, or lose hours of work. There are many options for security and backups. Microsoft offers an online backup for files for free! It’s called OneDrive. And you get 5GB worth of free storage which allows you to access your files from any computer, anytime. Google Drive offers almost the same service but you get 15GB for free. You can get up to 1TB of storage for $10/month if you need it. There are a few other cloud storage platforms, Dropbox for example, but even an external hard drive or flash drive is better than not having any backup at all. Security is best covered by a good Antivirus and Firewall. Random Access Memory (RAM) is important to the speed at which your programs function on your desktop. I like to think of RAM like ants breaking down a sugar cube. That’s right. A tiny army of workers doing what you ask. Have you ever clicked a link on the internet and had to wait for what seemed like forever for a new window to open in your browser or it took the page forever and a day to load? How about double clicked the icon to open your favorite photo editing tool to resize those images for your blog and felt like you could go run a marathon waiting for it to load? Oh yeah, turning your computer on! How productive can you be if you have to go make breakfast and coffee while you wait for your computer to boot up? If any of those problems are affecting your computer, it is most likely due to RAM. A computer uses RAM to operate all those commands (open this link, run that program, start up the operating system, etc.). When you double click a link on the internet, you are actually saying to the computer, “Open this. Open this again!” So, to you, you just clicked a link once more than you meant to, but if you only have ‘1 ant’ breaking down the sugar cube, then you’ll have to wait for it to make 2 trips to complete your commands! If you have a whole ARMY of ants doing your bidding, the tasks go a lot faster! The hard disk drive (HDD) is like a box. Everything you put on your computer; your pictures, documents, music, videos, and programs, all take up space in the box! Hard drives have different capacities, which is to say, you can get a big box or a little box or a medium box… you get the idea. There are 2 kinds of drives that are used today. Hard disk drives and Solid State Drives (SSD). HDD’s operate a lot like a record player. There is an ‘arm’ suspended over a platter that ‘reads’ the records. Now, imagine you stacked a bunch of records on top of each other and that the needle of the record player could read all the records at once. That’s basically what an HDD is. The faster the ‘records’ spin around, the faster it is able to play back your data, or write your data (when you save a document, download a song or install a program it ‘writes’ that to the ‘records’.) The other type of drive, SSD, doesn’t have any moving parts! It uses electrical pulses to write to a chip, much like a flash (or thumb, as I have heard them called) drive. Because SSDs don’t have moving parts, they can write and read information MUCH faster. Now, if you’re a web designer and have 2 or 3 programs running and several internet tabs open, all at the same time, you might notice that your computer can start to run a little bit slower. Part of the problem could be that there is a lack of RAM in your machine, or your HDD isn’t spinning fast enough to get all the information you’re requesting in a timely manner. If you overload the HDD with commands, it can freeze your whole system. Hopefully, you saved your work before the freeze or all that time you spent doing whatever you were doing will be lost. Lost time can equal lost dollars! If you need to have several things going at once on your computer, an SSD is a better choice. It is one of the many ways that technology has advanced to help us be more productive by minimizing the time we spend waiting (or redoing work)! We’ve talked about ants and boxes so far… so how best to describe the processor (CPU)? The best way I can describe a processor is with the cliché, “it’s the brains”. It really is a lot like the brain, though. When you’re thirsty, your body sends the signal to your brain and your brain says “Drink some water!” Then it gives your body all the instructions to make that happen… your feet move to the sink and your hands grab a glass and you turn on the faucet and fill up your glass. Then your arm brings the glass to your mouth and you swallow the water. You do all of that without really thinking about it but none of it would happen without your brain giving you step by step instructions on what to do. Every time you click your mouse to open an email, it sends a signal to the CPU asking what it was supposed to do and the CPU sends back, “open the email.” The more processing power you have, the more tasks you can do at once. The faster your CPU is, the faster you’ll be able to do those tasks! Fun fact…today’s flagship cell phones (iPhone 6, LG G5, Samsung Galaxy S6, etc.) have more processing power than any computer from the 1990s. Also, much like your brain, when a CPU gets hot, it stops working properly. A guy I knew had an old computer that he used daily (mostly for games). He never shut it off. He never blew the dust out with one of those compressed air ‘dusters’. Over time, the dust that was pulled inside the computer collected and caked on the fan that cools the processor. When the fan stopped cooling, the processor heated up and ignited the dust! His computer was a $2000 paper weight at that point. Sometimes, some simple maintenance can save you from a massive headache (Get it? Because it’s like your brain?)! We talked a little bit in the beginning of this article about ‘the days of old’ where letters were hand written and delivered by post as compared to ‘modern times’ where information is delivered almost instantly and to a wider audience. Up to this point, though, I’ve talked mostly about hardware components in a computer. There is one piece of hardware that is almost overlooked in computers these days since they are integrated and so fast now that you really don’t HAVE to think about them anymore. That would be the modem! In the 1990s, the fastest delivery system you had for the internet was 56k data modem! If your computer didn’t have it, you didn’t have the internet! You also had to literally dial into a server over your phone line (usually long distance) to get that data connection! Then the information was sent for and received very slowly. Images loaded line by line! Flash forward to today, and we now have Fiber internet with speeds over 1GB (which is 1,000,000k! The difference is having $56 vs having ONE MILLION DOLLARS)! We also have 4G wireless signal which comes to our phones, so we have the internet virtually everywhere we go. The dynamic of ‘mailing your Grandma a picture’ has gone from a 2 week process (taking the picture and filling the whole roll of film before you go and get the pictures developed, then addressing an envelope and taking it to the post office for delivery in 5-7 days) to a matter of seconds (take picture on phone, upload to social media, tag Grandma). This works for businesses as well. Remember that 1 ad per year in the yellow pages? Forget about that! Now you can broadcast globally in a matter of seconds that you are giving out a free drink just by downloading an app to your phone! (I love you, QuickTrip!) You can email an advertisement with so much more than just a few lines of text thanks to the speeds at which internet flows; that means full-color advertisements delivered directly to a mailbox for a fraction of the cost! In the business world you are being paid some dollar amount for every second you are clocked in. Let’s say that every time my phone rang I made $100, and my phone rings 10 times a day. You could say I make $1000 a day, right? Sure! Those are hard dollars. Now, let’s say that the phone line broke and I missed 3 calls! That means I just lost $300! Those are soft dollars! There was an article several years ago (Read it here if you want to, but AFTER you finish THIS article!) that stated if Bill Gates stopped to pick up $100 that he dropped on the sidewalk, he would be losing money! That’s because if you broke down how much money he made per second, ($114.16 according to that article) for him to stop for that one second would equal a loss of $14.16! Terrible investment of his time! With how much technology has progressed, it is possible to maximize your efficiency and time, but only if you properly maintain that technology. Don’t lose your work because you forgot to save it or back it up to a flash drive or cloud-based storage. Don’t end up having to buy a whole new computer because you didn’t think air dusting it out was all that important. Talk to a technician about your computer issues if you’re having trouble and don’t know what the problem is. So, this article focuses more on the hardware side of things, but there is a slew of software technologies that also help boost productivity. If you’re interested in hearing about those, give us some comments below! To tie back into the quote from the beginning of this article, the future has been built for us! Now go and take care of your technology, so it can take care of you! http://kcpctech.com/wp-content/uploads/2016/06/technology1.jpg 1131 1698 jbacchus http://kcpctech.com/wp-content/uploads/2016/04/logoSM2.png jbacchus2016-06-23 17:18:172016-06-23 17:18:17Technology to the rescue!